Model 1885 Winchester Single Shot rifle, .40-.90 Sharps Caliber. Serial number 5779. 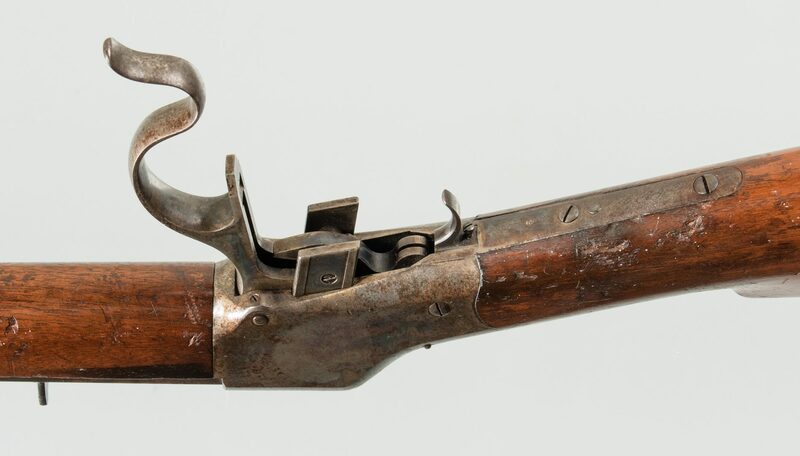 Barrel marked, "MANUFACTURED BY THE WINCHESTER REPEATING ARMS CO. NEW HAVEN CONN. U.S.A. Montana Armory, Bozeman, M.T. CAL. 40-90 SHARPS". Walnut stocks, metal frame, #4 octagonal barrel. Standard sights. 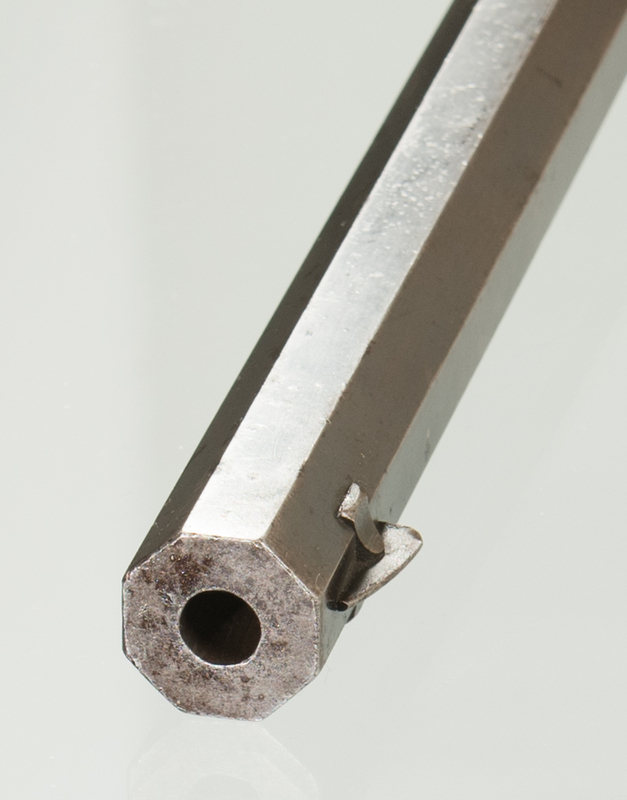 Barrel length – 30". Overall length – 46 1/4. Serial number corresponds to year 1886. CONDITION: Barrel has a shiny bore with little evidence of pitting, one small ding, still maintains glints of blue mixed with brown. 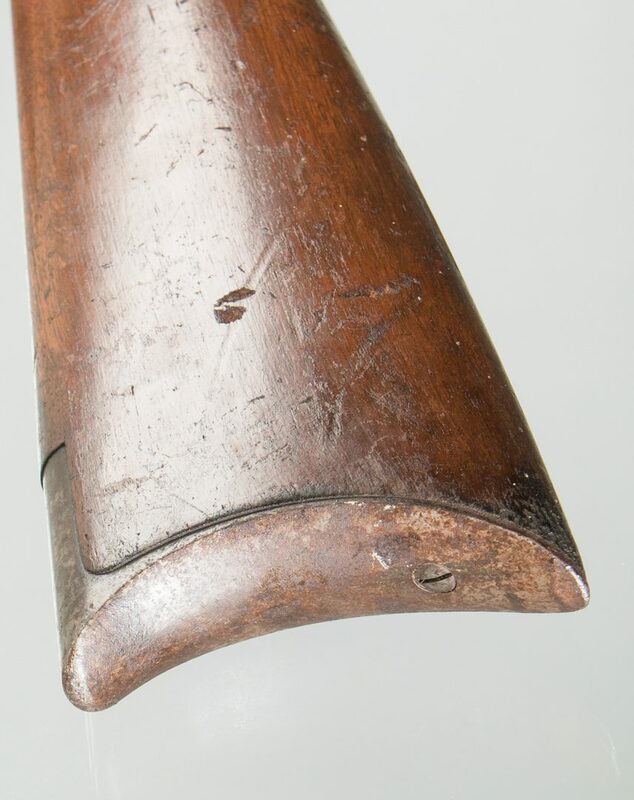 The receiver is a round top, thick side with good evidence of of color case hardening. The upper tang is unmarked. Single set trigger. Straight grain walnut with good patina and evidence of numerous dings. A 2 1/2" by 1/4" sliver of wood is missing from the top right end of the forearm. The action is excellent and the set trigger is fully functional.